Puppy training and biting! Boy, is that a subject you need to focus on - like NOW - if you have a new puppy. When you start any puppy training you need to ensure you include some element of training a puppy that biting, mouthing, and chewing, are all unacceptable behaviors....to us. However, they are totally natural behaviors for puppies, so it WILL no doubt become an issue at some point during puppy-hood. To stop the biting and nipping I suggest you teach your puppy bite inhibition as soon as you get your puppy home. 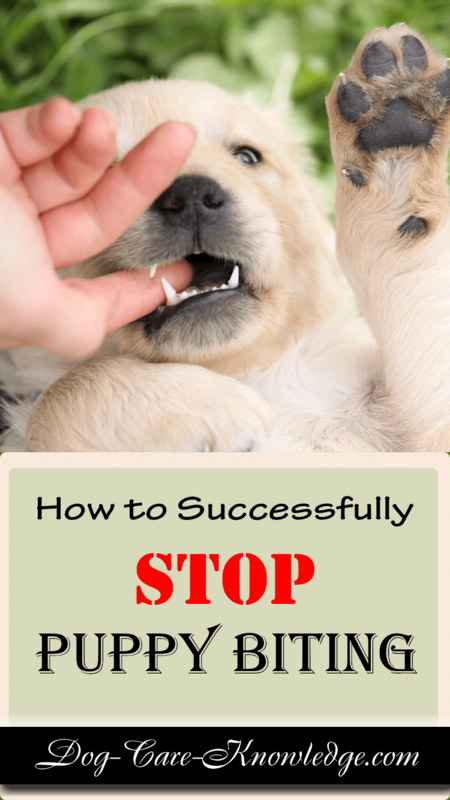 It's simply the best way of training a puppy that biting is not OK. Bite inhibition, sometimes referred to as a soft mouth, is a behavior in carnivorans whereby the animal learns to moderate the strength of its bite. Let me tell you a bit about bite inhibition and how that should factor into your puppy's training. Biting each other is how puppies learn how much pressure is tolerable and how much is too much. By biting each other during play, puppies learn that biting too hard hurts their siblings, or mother, and stops play. They soon learn to adjust their bite strength to a softer bite and play resumes. That process is known as bite inhibition, it's how they learn and that's what we need to mimic in order to teach them to bite softly and then not at all. A great resource for any puppy training topics, including biting, is Doggy Dan, The Online Dog Trainer. He has a free podcast series specifically on puppy training and a whole host of other training issues related to puppies and dogs. I urge you to click here to see for yourself how these videos and podcasts can be of great benefit to you and your puppy. Puppies and bite inhibition should go hand-in-hand as it's literally in their DNA to bite. 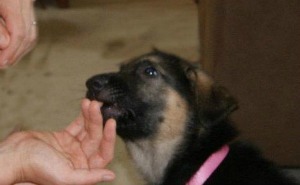 Puppies will naturally practice biting behavior with their mother and litter mates at the age of 3-12 weeks. If you haven't already done so, read the page on Puppy Care for more detailed information. Most owners take their new pup home, and away from their litter mates, before 12 weeks which means that we interrupt this crucial bite inhibition stage and learning opportunity. Guess what that means....the pup you bring home, will now continue with his natural biting desires on you. To prevent you and your family becoming chew toys for your puppy, you need to invest in some chew toys that you can direct your puppy onto. Here is a great option that offers twelve different chew toys in one package. If you want to be a savvy owner you can help them (and ultimately you) greatly by giving feedback on how much pressure they can use. Mother Nature gave puppies those needles for a reason. Yes, they hurt but they don't do much damage as Mother Nature also gave puppies weak jaws. That's why you need to stop a puppy biting while he is still young! For their benefit, and yours, puppies simply must know how to bite softly before they enter adolescence. 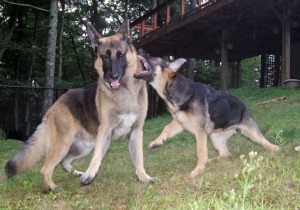 Adult dogs use their mouths to play with each other all the time. A pup that hasn't learned bite inhibition i.e. his bite tolerance, is going to get into all sorts of trouble as an adult if he is biting his fellow canine pals hard. Let alone what it could do to a human. Before I go into the steps necessary to teach your puppy bite inhibition, let me start by saying the obvious, only adults should practice this. Never let a child practice bite inhibition and don't leave children alone with the puppy. Training a puppy not to bite, should only ever be done by an adult. OK, that said, lets talk about the steps you need to follow and why. First, the hardest part, let your puppy bite on your hand. As soon as he bites a little too hard you need to screech OUCH, and immediately leave the room for 1-2 minutes. Puppies understand the screech as this is similar to the noise their litter mates would make. By leaving the room you are again mimicking the reaction other puppies would give to a puppy that is biting too hard. He will be isolated. When you return, continue the play and let him bite you again. If he bites hard again, repeat the process. In fact, you will need to repeat this again and again but your pup should eventually get it and start biting softer. Next step, is to start to screech OUCH when he is biting softer, and again leave the room. Your puppy will soon learn that even his reduced bite strength is biting too hard. The result for him is that the play stops and he is left alone which most puppies won't like. Be sure not to make it longer than 2 minutes otherwise he will have forgotten what he did in the first place! 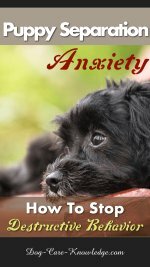 Again, repetition is required before your puppy should start to bite even softer. Multiple people should now practice this with your puppy, excluding children of course. Once your puppy is consistently biting softer it shows he is demonstrating self-control and you can start to screech OUCH and leave the room for even softer bites. Repeat these steps gradually teaching the puppy to bite softer and softer until he mouths with very little pressure. Once he has got this and is biting with very little pressure, you can teach him "no bite" command by redirecting him to a chew toy or other toy when he goes to bite you, saying the command "no bite". Why Not Teach "No Bite" Instead? At this point, and with sore fingers, you may be thinking why not just teach your puppy the "no bite" rule first? Why go through with the bite inhibition at all? Well, there is a reason for that. First off, its a tall order as puppies have a great need to bite and a short attention span to learn things so the gradual approach is much easier. Secondly, if you do manage to teach your puppy not to bite at all they will be left with a "hard mouth" and if they ever bite, it will be a hard bite. What is a Hard or Soft Mouth Anyway? "Soft mouth" means that your pup/dog will bite with soft pressure. "Hard mouth" means your pup/dog will bite hard with full pressure of their jaws. What Could Happen If We Don't Teach Bite Inhibition At All? Owners and trainers that use the "no bite" method are only suppressing the behavior. Unfortunately suppressing behavior does just that. Suppresses it, not eliminate it. Given the wrong set of circumstances any dog can bite. A bite is at the far end of the "leave me alone" spectrum for dogs and any dog can reach this threshold. 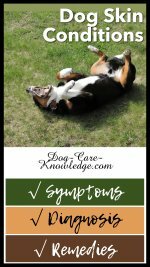 Whether it be due to pain, stress, vet visits or just a communication misunderstanding any dog has the potential to choose biting as a reaction. 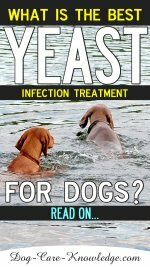 A dog that has learned bite inhibition is less likely to cause serious damage than a dog that has been taught to suppress his bite altogether.